BRUSSELS -- Three Mormon missionaries from the United States, who were serving in Paris, were seriously injured in the explosions at Brussels airport Tuesday. 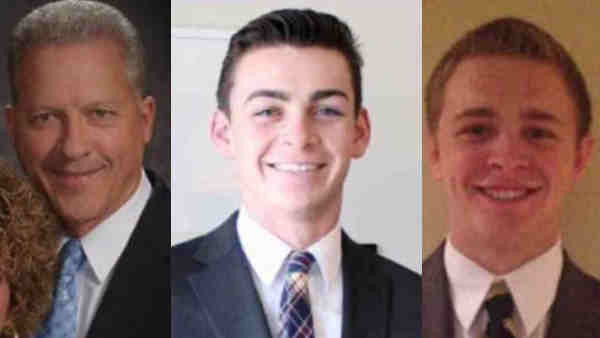 The three Americans are: Elder Richard Norby, 66, of Lehi, Utah; Elder Joseph Empey, 20, of Santa Clara, Utah; and Elder Mason Wells, 19, of Sandy, Utah. They were taking a fourth missionary, Sr. Fanny Rachel Clain, 20, of France, to the airport. She had already passed through security. The three have been hospitalized with "serious injuries." A total of 10 Americans were injured in the attacks, according to ABC News. Along with the three missionaries, the injured include one U.S. Air Force service member from Joint Force Command Brunssum, the Netherlands, and five family members of the service member. State Department Spokesman John Kirby would not comment on the number of Americans injured, but said he had heard of no U.S. deaths. He said the work of accounting for U.S. citizens and government personnel is ongoing and that he doesn't want to issue an incorrect number. The three Utah men serving in Paris were close to an explosion, but the French woman was in a different area of the airport and received minor injuries. Empey was doing well after being treated for second-degree burns to his hands, face and head, his parents, Court and Amber Empey said in a statement. He also came out of surgery for shrapnel injuries to his legs. "We have been in touch with him and he is grateful and in good spirits," the statement said. Clain, of Montelimar, France, was on her way to an assignment in Cleveland, Ohio. She had passed through security at the time of the explosion. The church said she didn't make her flight out and has been hospitalized. It instructed others in the France Paris Mission to stay in their homes. "This has been a difficult day for our family, and our hearts are broken for those injured or killed by the attacks in Belgium," the Empey family statement said. The governor of Utah offered support to the local families. Gov. Gary Herbert praised the Utah natives as "people of faith who have forsaken everything - family, friends, school and careers - in order to share a message of hope and love with the world." Thousands of Utah Mormons have served proselytizing missions around the world. Church members account for as many as two-thirds of the state's population.